Hippodrome Dual Play Roulette to be streamed from the casino in London. As I exclusively revealed in February 2016, the Hippodrome live casino will be launching it’s own Live Dual Play Roulette table and feed from the casino based in Leicester Square in London. Announced this morning in a press release. The Hippodrome’s own Live Casino service will be built around Evolution’s generic live tables, located at Evolution’s Riga studios, and a Dual Play Roulette table to be sited within Lola’s, The Hippodrome’s underground casino. The Evolution Dual Play Roulette table on the gaming floor in Lola’s will allow online players on desktop, tablet and smartphone to play with players seated at the same Lola’s table. This dual play (or ‘convergence’) capability is enabled by an Evolution state-of-the-art Live Casino camera and sound studio installation around the actual table. 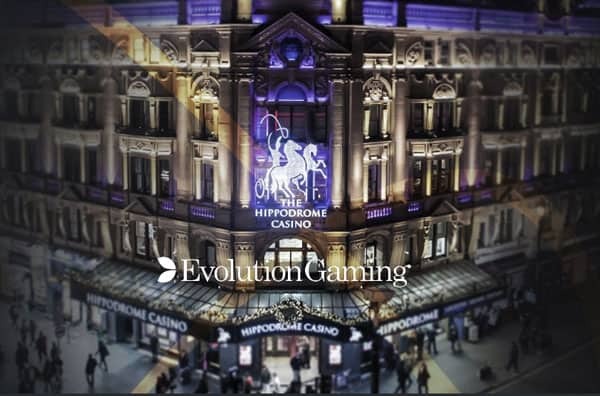 As well as being a focal point of The Hippodrome’s own Live Casino service, the Lola’s Dual Play Roulette table will be made available as a ‘Live from the Hippodrome’ feed to Evolution’s other licensees. 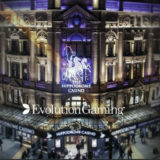 This will allow any Evolution licensee’s players to sample the unique atmosphere of Lola’s, which recreates the under-stage Hippodrome live entertainment club of 1900. 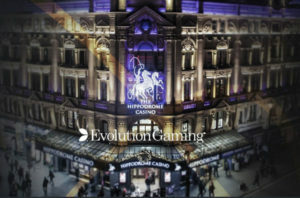 The Hippodrome Live Casino is already running games from Evolution, having migrated away from the Microgaming Live Casino earlier this year. I’m interested to see if they will add a dedicated area at the Riga Studio’s as the press release is a bit unclear on this. This is great news for UK & International players visiting the casino in London. You’ll now be able to play at the table in the casino and then go home and continue playing on the same table. As mentioned above the Hippodrome Dual Play Roulette table will be located in Lola’s which is the underground casino at the Hippodrome. It’s a smaller environment than the main gaming floor upstairs. It has a range of card tables offering Blackjack and 3 Card Poker and presently there are three American Roulette tables and one craps table. I visited the Dragonara Casino when I was in Malta earlier in the year and was able see and play on the very first Dual Play Roulette table that Evolution launched. I’m certainly looking forward to visiting the new table at the Hippodrome.